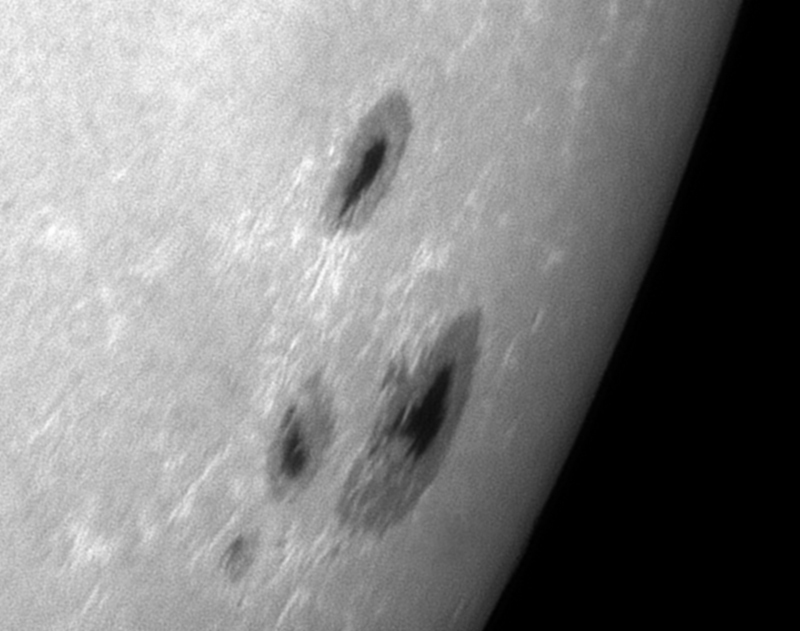 My first solar imaging attempt for a couple of months shows Active Region 1504 just before it disappears round the Sun's limb. This image shows the whole of the Sun's disc, with Active Region 1504 the only feature apart from some bright faculae on the opposite limb. The image was produce by stacking 30 images captured using a Nikon 950 digital camera connected afocally via a 40mm Plossl eyepiece to an ETX125 telescope. 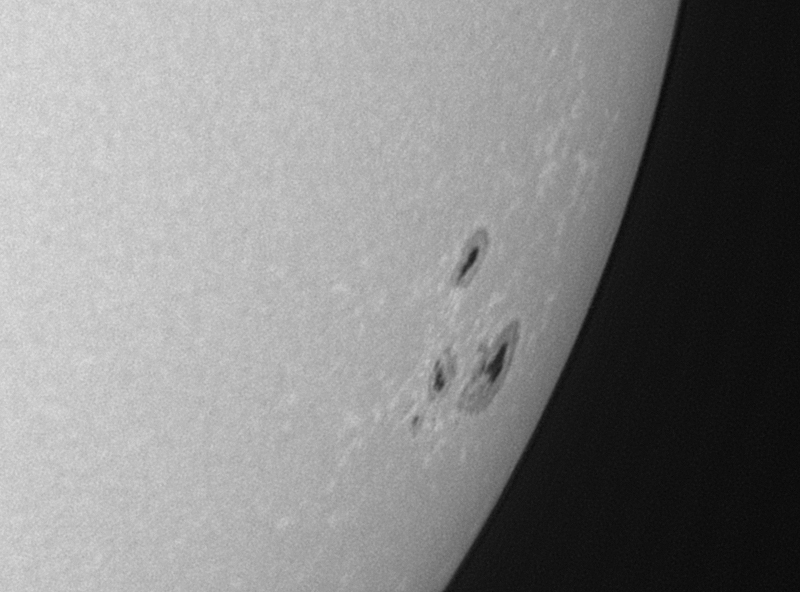 This image of AR 1504 was produced using a DMK31 astronomy camera connected the the same telescope as above. The best 100 frames from 700 were aligned and stacked using Registax6. 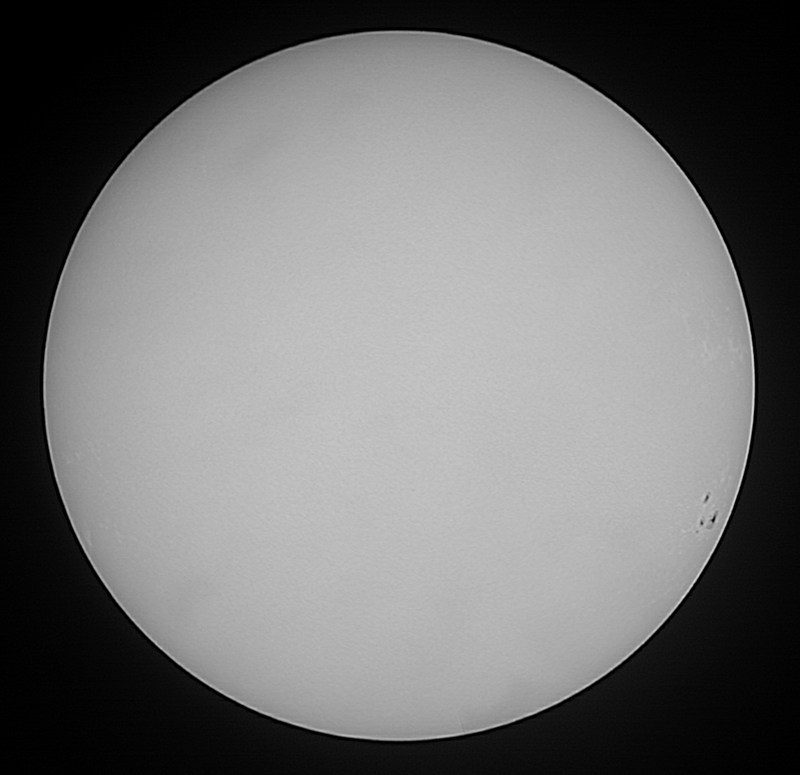 This image was produced using the same setup and technique as above but a Televue x2.5 Powermate was included in the light path give the telescope an effective focal length of 4.75 metres. 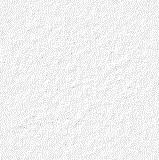 The lighter regions in all the images are faculae and ech image shows the dark sunspots or umbrae surrounded by the lighter penumbrae regions.